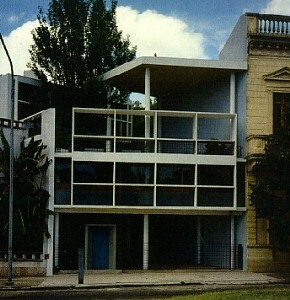 Le Corbusier, Curretchet House (La Plata, Argentina: 1949). Philip Johnson, "The Frontiersman." Architectural Review, CVI (August, 1949), pp. 105-10. 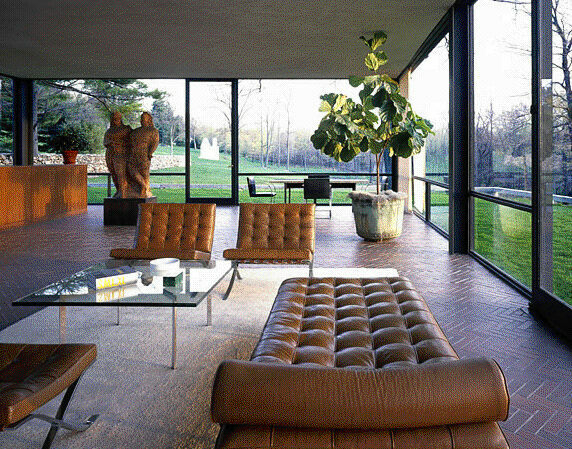 Philip Johnson, Glass House (New Canaan, CT: 1949).